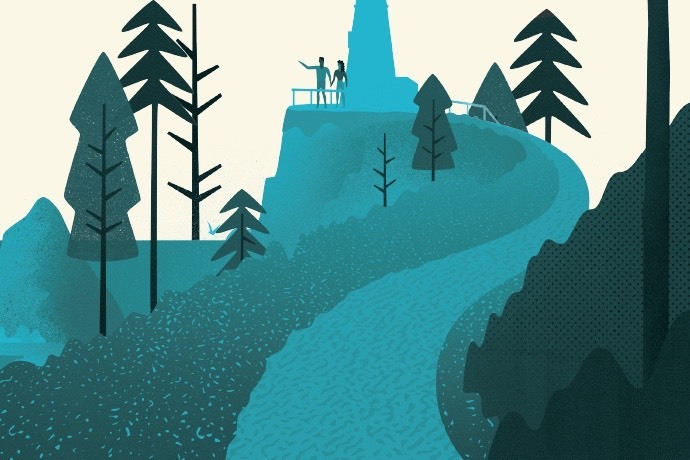 MVP Health Care is bringing health insurance to the people, with help from Media Logic. 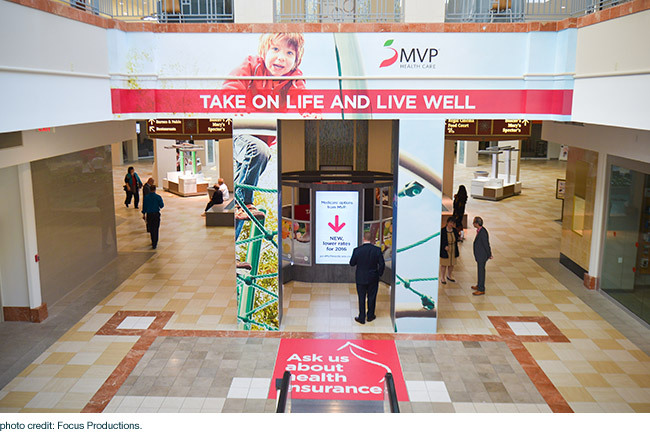 We recently rolled out an in-mall retail location for the regional insurer – along with promotional content for a large video wall and signage to drive mall-goers to stop by. 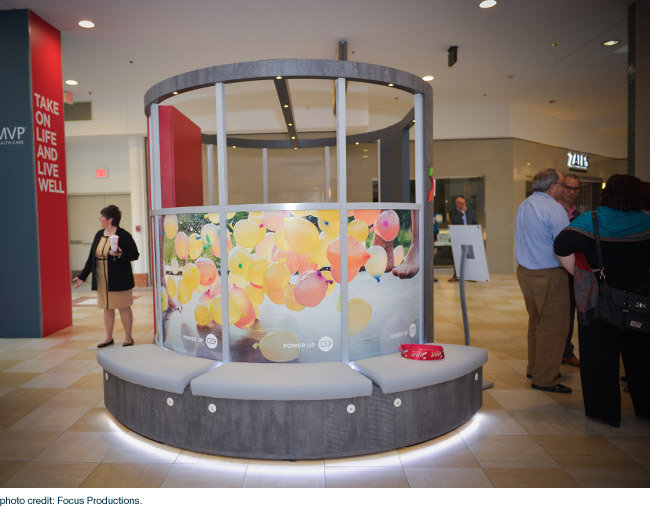 The location was designed to be flexible enough to accommodate private meetings with consumers during open enrollment and to be used as brand reinforcement (even providing seating with airport-style charging stations) during the “quieter” healthcare months of the year. MVP’s mall marketing blitz was launched in October to gain maximum visibility during the busy holiday season. Within a few weeks of opening, MVP reports tremendous interest from a range of consumers. 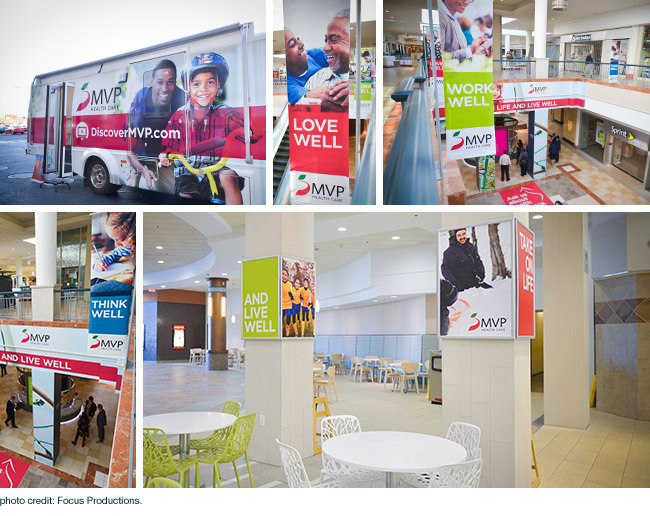 In conjunction with the new mall location, Media Logic also helped MVP with the exterior design for a small fleet of mobile vehicles which included meeting spaces – providing a more convenient choice for consumers who need assistance with their health insurance. 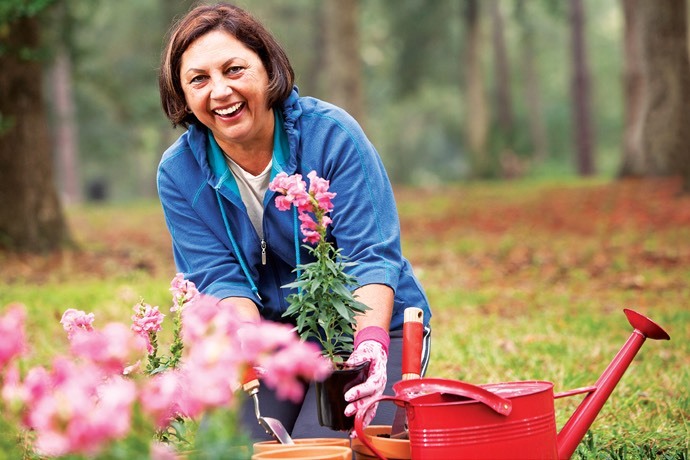 It’s all about helping to reinforce MVP’s position as the supportive, customer-oriented health insurer – the company that makes the complex process of choosing a health plan easier. As part of MVP Health Care’s latest brand campaign, Media Logic recently created several television commercials and billboards to coincide with the health plan’s marketing strategy for open enrollment.